Out of the Park celebrates the community of St. Louis baseball fans and their devotion to their home team. This sculpture is a dynamic abstraction of a baseball being hit “out of the park,” and echoes the shape and proportions of the Gateway Arch. 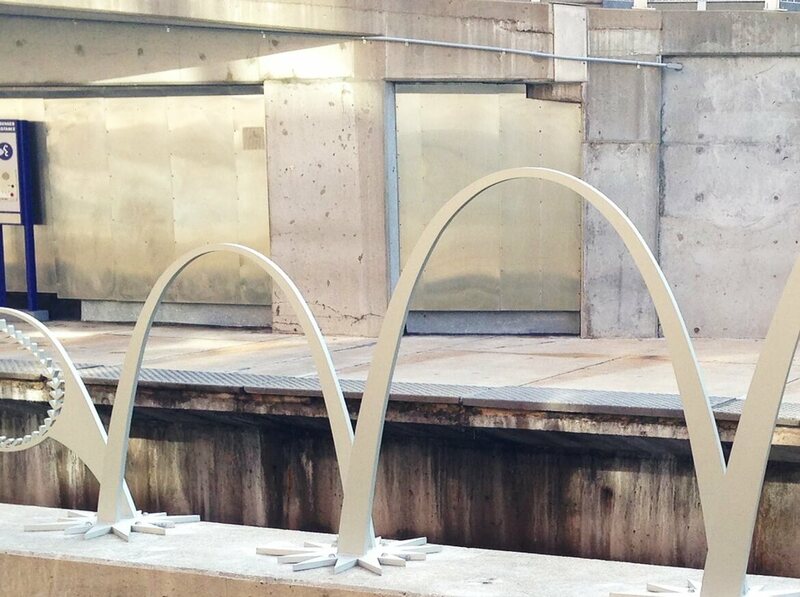 On game days, this artwork channels the energy and anticipation of the fans that crowd the streets and Stadium MetroLink platform. Commissioned by AIT for Metro St. Louis with funding from the American Recovery and Reinvestment Act awarded by the Federal Transit Administration (FTA).